There’s a fun installation at Waterloo station at the moment – if you get the timings right, not only do you get to listen to some very cool live music, but you can also drink Jack Daniel’s Tennessee Whiskey. Always a good start to the commute home. 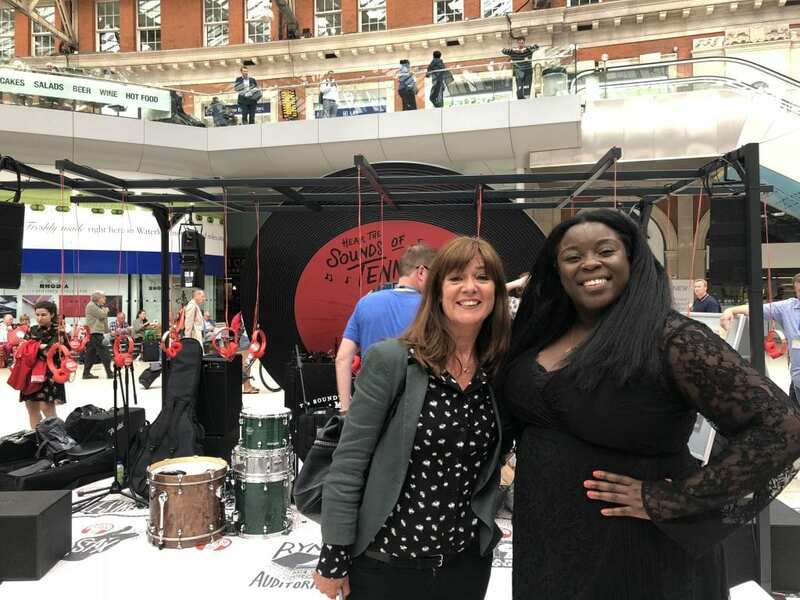 I don’t know why the station doesn’t have live music all the time, it’s very uplifting – maybe they should install a piano like they have at King’s Cross Station. 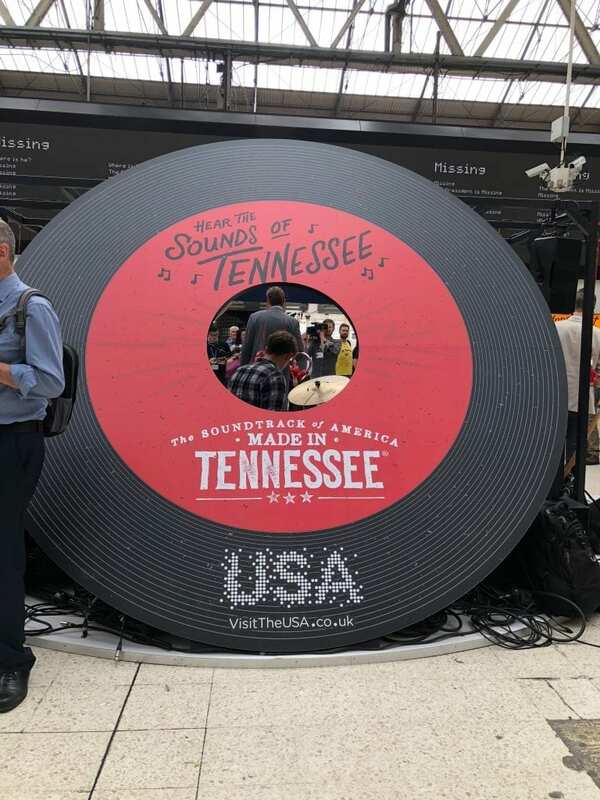 “Sights & Sounds of Tennessee” Experience is going to be there for the next month and is an immersive multisensory experience that will entice Waterloo Station travellers to delay their evening commutes and immerse themselves in the Tennessee destinations of Nashville, Memphis and Knoxville – some of the world’s top travel destinations for music lovers. You can use headphones to listen to music recordings and other sounds one can only experience in Tennessee. Corresponding websites, accessible via mobile devices, enable visitors to virtually transport themselves to Tennessee destinations with 360-degree videos including a scenic vista overlooking the Great Smoky Mountains or one of the many blues clubs lining Memphis’ famous Beale Street. Yola Carter was the first singer to perform and I was invited to go along to meet her. 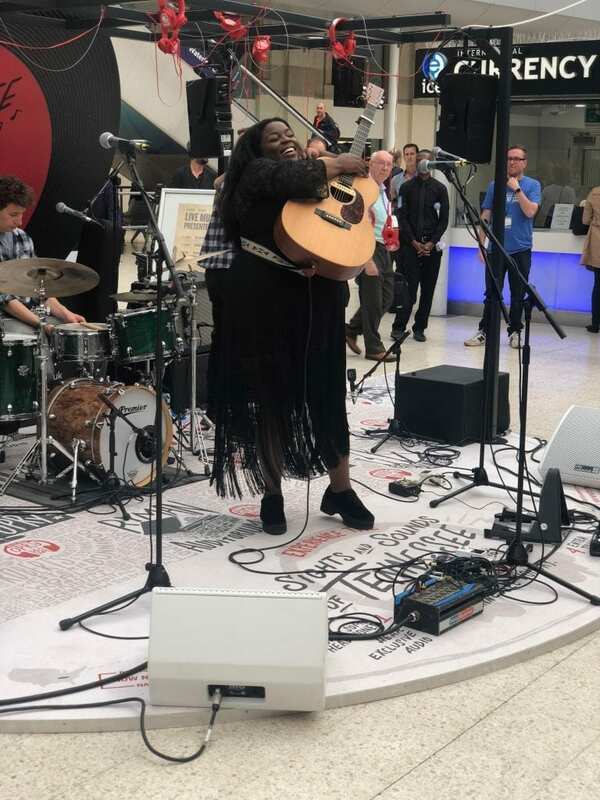 She’s a rising country-soul singer/songwriter from Bristol, whose recent successes include being voted ‘UK Artist of the Year’ at the AMA UK Awards, a much-hyped performance at AmericanaFest in Nashville and embarking on her first headline UK tour, described by The Times as “spectacular”. She has wanted to be a singer since the age of four after being inspired by Dolly Parton and she is headed to Nashville soon to record her debut album. ‘The Sights & Sounds of Tennessee’ exhibit is a joint effort led by the Tennessee Department of Tourist Development, working in partnership with Brand USA, the Nashville Convention & Visitors Corp., Memphis Convention & Visitors Bureau and Knoxville Convention & Visitors Bureau, to formerly introduce Tennessee to Londoners through an interactive sight and sound experience in London’s Waterloo Station.